Did you know that having arthritis can affect your eyes, too? Sure, arthritis inflammation attacks your joints, and most people also associate arthritis pain with the bones, muscle, and tissue, as well. However, inflammation can also attack the eyes — a little-known fact about arthritis. Let’s explore some ways in which certain eye problems can be linked with certain forms of arthritis. 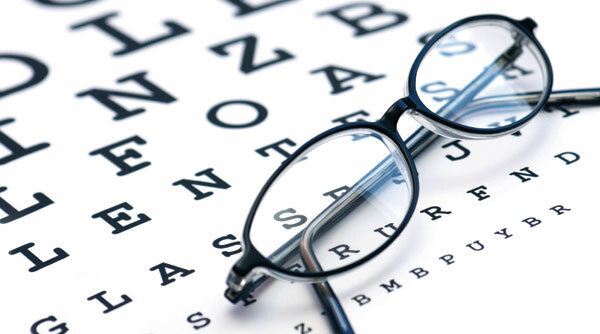 Usually, astigmatism is hereditary or, at the very least, present from birth. However, a number of environmental or lifestyle factors can also contribute to it. According to London Optical in New York state, one of these factors is chronic pressure on the eyelids that can be caused from swelling/inflammation in the face. Another risk factor is poor posture, which can come along with various forms of arthritis. Inflammation caused by rheumatoid arthritis can affect the eye, and this inflammation in the eye can affect the drainage system, eventually leading to glaucoma. Depending on the type of glaucoma, symptoms may include gradual vision loss, eye pain or blurred vision, and, if not treated properly, can lead to blindness. The rheumatic autoimmune condition Sjogren’s Syndrome can lead to dry eyes. In this case, prescription-strength artificial tears and/or steroid drops may be used. This condition causes the drying of tear ducts, salivary glands, etc. and, like many forms of arthritis, causes inflammation throughout the body. Some other people with different forms of arthritis may experience dry eyes from medications, too. Episcleritis is inflammation of the membrane covering the white part of the eye, while scleritis is inflammation of that white part. Both conditions are associated with rheumatoid arthritis and cause eye pain and tenderness. Scleritis patients can have the white part of their eyes take on a deep violet hue, and episcleritis is usually associated with red eyes. According to the Mayo Clinic, inflammation within the eye and long-term use of corticosteroid medications often prescribed to treat rheumatoid arthritis can cause cataracts. Symptoms vary but could include cloudy, blurred or dim vision. Of course, there are other eye conditions and other causes for eye pain, but with inflammatory arthritis, these are the most commonly associated problems. Many of these conditions are treated with steroid eye drops or artificial tears. Some may involve oral steroids or other medications. In all cases, you should see your eye doctor if experiencing eye problems. Many of these conditions can be reversed or saved from further progression if caught and treated in time. Always tell your doctor if you notice vision changes or eye pain. Do you have experience with eye problems AND a form of arthritis? We’d like to hear your story, so please, leave a comment! 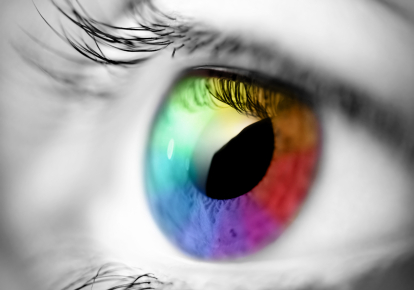 And, as we head into 2012, “keep an eye” on our blog for many new informative, inspirational, and interesting topics! Tags: ankylosing spondylitis, Anterior Uveitis, Arthritis, Arthritis and Eye Health, Arthritis Ashley, Arthritis Blog, Arthritis Facts, Arthritis Foundation, Ashley Boynes-Shuck, Astigmatism, Autoimmune, Autoimmune Iritis, Cataracts, Chronic iridocyclitis, Chronic Uveitis, Corticosteroids, education, Episcleritis, Eye Disease, Eye Disorders, Eye Health, Eye Inflammation, Eye Pain, Eye Problems, Eyes, fibromyalgia, Glaucoma, Headaches, Health, Human Body, Human Eye, inflammation, Inflammatory Disease, Iridocopathy, Iritis, JA, JIA, JRA, Juvenile Arthritis, juvenile idiopathic arthritis, lupus, Maculopathy, Mid Atlantic AF, Mid Atlantic Region, OA, Opthamology, Optometry, Osteoarthritis, RA, Red Eye, Retinopathy, Rheum, Rheumatoid Arthritis, rheumatology, scleritis, Sjögren's Syndrome, swelling, Uveitis, Vision, Vision Issues, Vision Problems, Wellness. Bookmark the permalink. Been diagnosed with rheumatoid arthritis. Also having problems with gums and may need bone implants and been to opticians and been told I have astigmatism. Never had any problems before so wondering if it is all linked to the rheumatoid arthritis.